Although I consider myself a general fan of the online adversarial scene, I have to preface this review with a little disclaimer. 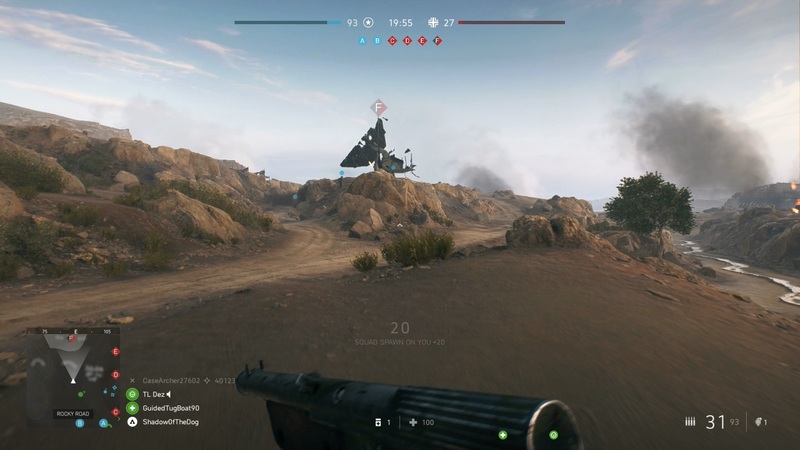 I am no Battlefield aficionado, in fact as a Call of Duty veteran you’ll usually find me dabbing ironically on the other side of the fence most days. I’ve certainly dabbled in the Battlefield series over the years, but I’ve never properly sunk my teeth into a BF title in any meaningful way. 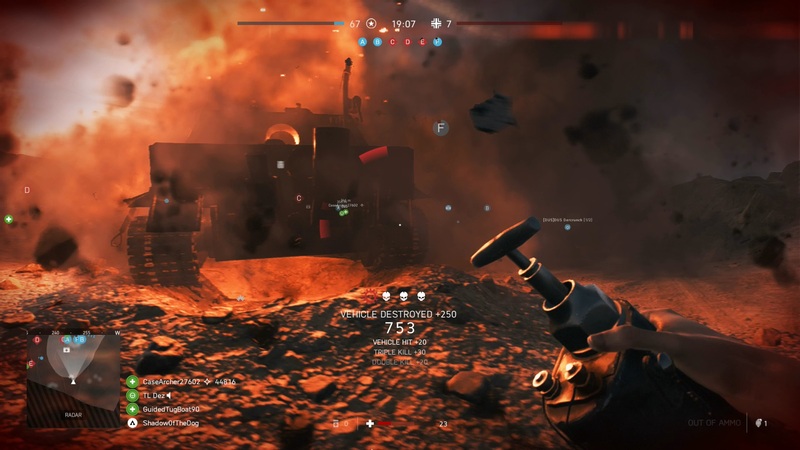 So consider this review as being written from the perspective of Matt Damon clutching his knees sobbing uncontrollably on Omaha beach – I am a Battlefield noob, and this is my story. The first thing one should probably realise when playing Battlefield after a lifetime of devouring annual Call of Duty titles (and one which vehement defenders of each franchise might tend to forget), is that they are entirely different beasts. If Call of Duty is like grabbing a fistful of delicious buttery popcorn and hastily shoving it in your gob, Battlefield is like planting the corn in carefully prepared soil, nervously standing in your field and watching the stalks begin to take form, before being sniped from really far away. What I mean by these terrible similes is that Battlefield plays the long game; all of its modes demand that you think beyond what’s visible betwixt the iron sights of your Gewehr 43 and see the bigger picture. Battlefield V is at its best is when you can physically feel the tide of battle thrash back and forth and despite a large player count you feel like you somehow have a pivotal role in how that plays out. Battlefield V cleverly funnels its player base into three main playlists. The most popular of the three is Conquest, Battlefield’s marquee 64-player mode which is played on sprawling maps where players fight to take control of six key areas labelled A through G. Not only will a captured point provide a strategic respawn point, if your team controls more points than your opponents, they will start bleeding tickets (which are finite), and if your team bleeds all their tickets, it’s game over, man. Tickets can also be taken from the other team by killing them, so there’s a balance between strategically locking down areas on the map and unleashing your inner Rambo to get your team in front. While Conquest demands you spare at least twenty minutes of your life to see a match through to its conclusion, they can be full of incredible twists and turns; hopeless situations where a team is bleeding more tickets than the beleaguered A-League can be slowly but surely turned around by focused effort, communication and camaraderie. 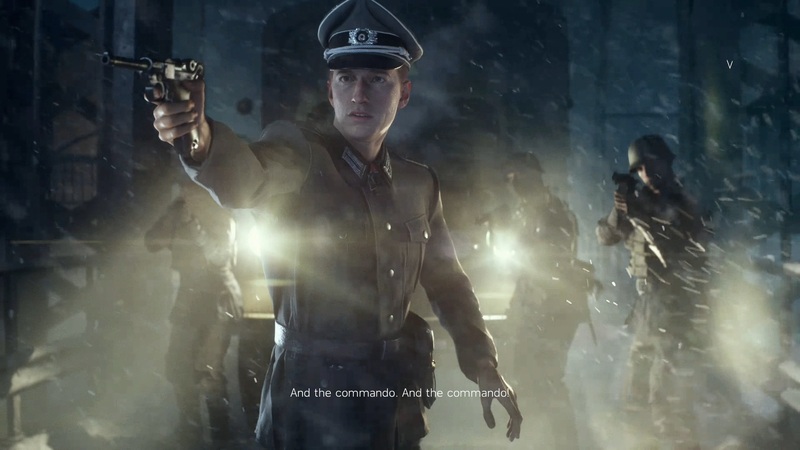 The game also features another large-scale mode in the form of Grand Operations, which attempts to bring a little bit of story flavour to the proceedings. 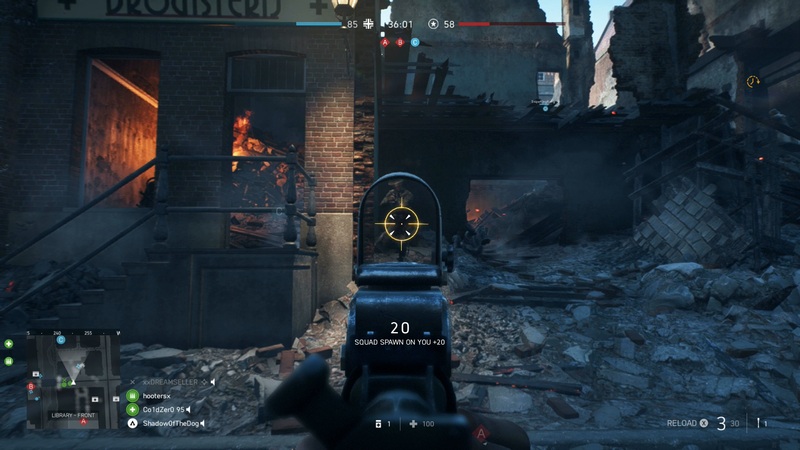 A match of Grand Operations has three distinct asymmetrical phases, where a team is responsible for either attacking an objective or defending it. Generally the odds are slightly stacked in favour of one team over the other, giving it a certain desperation on behalf of one team as they valiantly throw themselves against well-entrenched enemies. Each phase has distinct modes (including the aforementioned Conquest) that are unique to the various maps and scenarios, and victory or defeat in each phase grants boons or hindrances respectively in the next phase. It sounds good on paper and there are certainly some tense moments and great tide turners, but given that a full Grand Operation can easily last over an hour, the matches can drag harder than that bloke briefly stepping off a Countrylink train at Fassifern to punch a quick dart before hopping back on. Also bringing down Grand Operations is that it generally features the Airborne mode at its outset, which for the attackers can feel like torture. In this mode you are flown in on planes a la PUBGBlackout (the king is dead, long live the king) and parachute in to try and pick up bombs and arm them at specific points. The problem is that it’s hard to pinpoint exactly where you’ll land, and rest assured the enemy is watching you from afar and licking their lips as you hit the ground and begin to panic. You can spawn on your squad (a small group of four soldiers which you are randomly assigned to unless you’re lucky enough to have friends who want to squad up), but given how easy it is for attackers to be mowed down as they land, good luck finding a squad member alive or in an area where a thousand snipers don’t have their reticles trained on them. The final playlist called Infantry Focus shrinks down the larger scale battles in favour of getting you closer to the action. In a variety of 16v16 modes, the focus is on kill or be killed, and it’s a bit of a mixed bag. Team Deathmatch is not at all compelling, with the small maps failing to feature enough nuance to make them interesting from a strategic standpoint. It also highlights the slightly clunkier feel of the gunplay and movement compared to faster-paced shooters that excel in this game mode. It does however feature one of my favourite modes in the form of Frontlines, which is like a much smaller version Conquest mixed with tug-of-war. Teams attempt to control points set up in a linear fashion to eventually reach their enemies’ base and arm a bunch of bombs to send them back to the Stone Age. Because you’re only defending or attacking one point on the map at a time, you always know the general location of where the action will be, and things like conquering an area by brute force or by subterfuge are both possibilities. Given the back and forth nature of this mode, brazen attackers can often find themselves on the back foot if they push too hard without backup, finding themselves having to desperately scramble back to the previous point lest a rallied enemy squash them with renewed vigour. One aspect of Battlefield’s online setup that not only leaves Call of Duty in the dirt, but doubles back and kicks it in the guts, is the server searching and live ping tracker. With the simple press of a button, you can search for local servers in the playlist of your choice, which are easily sorted by ping and location. If a server is full you can queue up, and usually it’s not too long before you’re diving in. Once in the game, you can view your current ping to the server easily on the scoreboard, a far cry from Call of Duty games which intentionally hide all this information and are far worse for it. I’ve banged on a lot about multiplayer, and this is obviously the heart of the title, but BFV also features a smattering of single-player content in the form of War Stories. These are small self-contained missions taking place in various and perhaps lesser-known theatres of World War II. 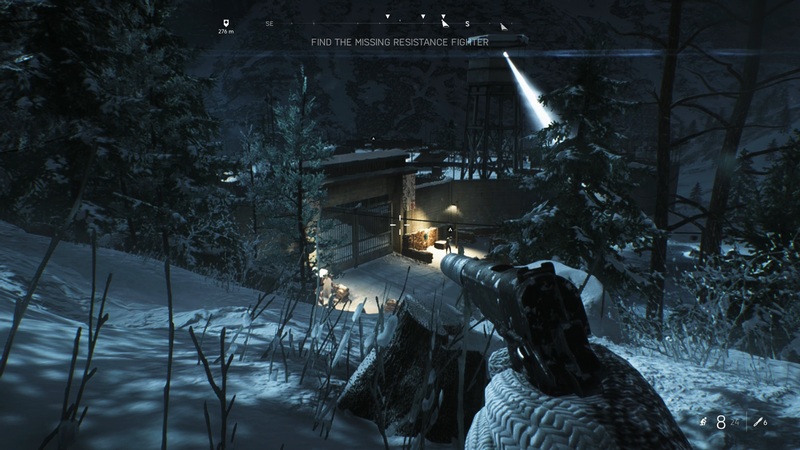 The settings themselves such as the dark and snowy forests of Nazi-occupied Norway and the odes to unsung heroes such as he Senegalese tirailleurs end up being far more interesting than the slightly tired gameplay, but the semi-sandbox nature of these missions gives a nice degree of choice in how you tackle the objectives. If you are interested in the deeper history of these War Stories and an analysis of BFV’s historical accuracy in general then I recommend you check out WellPlayed’s resident buff history buff Aza Hudson’s article addressing exactly this. There are only three War Stories available at launch, but a further two are planned and should drop next month. Putting aside my love for Mountain Dew-flavoured Dorito twitch shooters and immersing myself in Battlefield V has given me a newfound appreciation for the series. While it’s still got its fair share of lone wolves hiding in the hills with sniper rifles, BFV manages to foster a real sense of camaraderie through the bonds you form with your squadmates. Matches may be lengthy in nature, and occasionally overstay their welcome, but in general there’s a great sense of purpose to the action and a feeling that even though you’re only a tiny cog in a 64-player machine, your role matters.